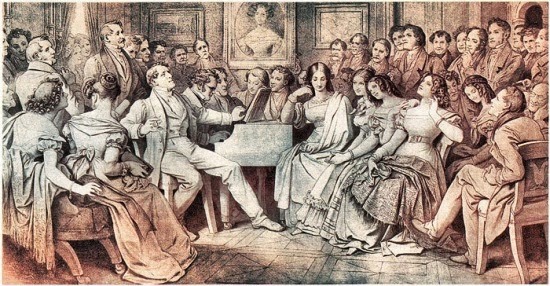 A Schubertiade was a house concert celebrating the music of the Austrian composer Franz Schubert (1797-1828). This image of a Schubertiade is by Moritz von Schwind from 1868. 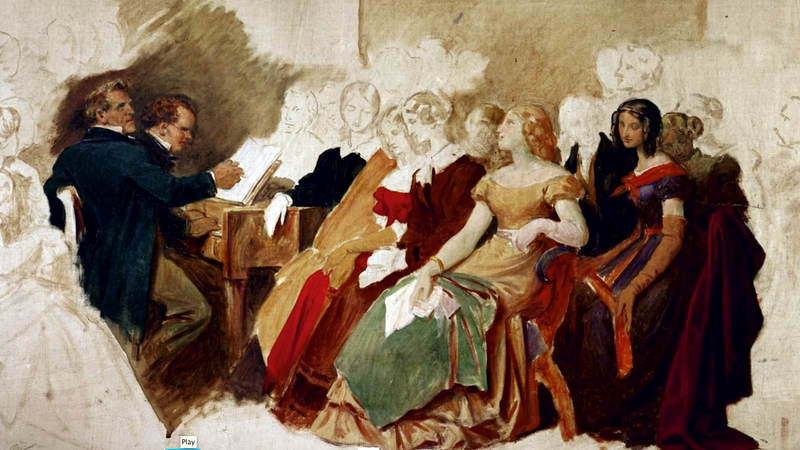 Julius Schmid painted this reconstruction long after Schubert was dead. It's carefully composed, with a circle of light tones in the center and repoussoir figures on the outside. These Schubertiades must have been magical occasions, infused with the light of candles, the rustle of silk and the scent of flowers. Gustav Klimt captured the delicate radiance in this painting from 1899. Unfortunately this painting was destroyed in World War II, but at least someone photographed it in color. Bard College will be hosting a Schubert festival this summer in New York's Hudson Valley. 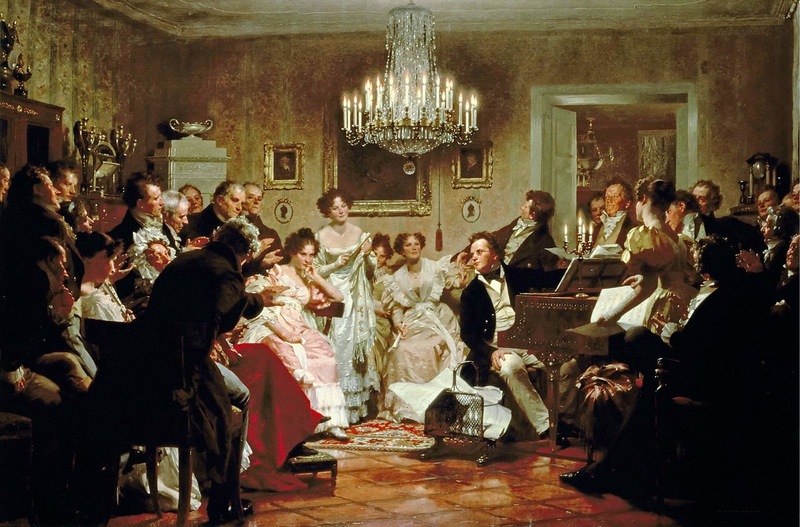 Might you be attending the event at Bard to paint a Schubertiade? Do you by any chance know who own the third painting/sketch from the top? 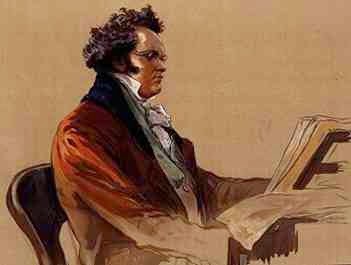 Schubert by the piano? Or where I could get an electronic copy of that? Do you by any chance know who owns the third painting/sketch from the top? 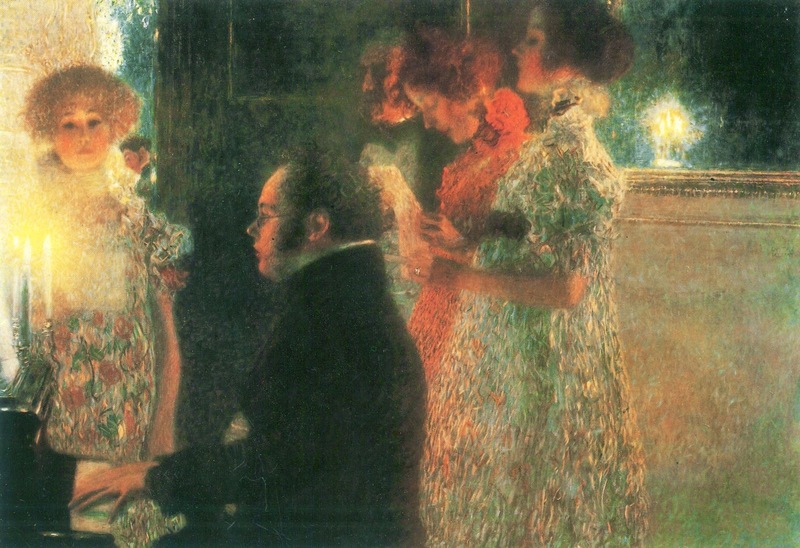 Schubert by the piano? Or where I can find an electronic copy of it?